According to TechSci Research report, “Global API Management Market By Component, By Deployment Mode, By Organization Size, By End User, By Region, Competition, Forecast & Opportunities, 2024”, the global API management market is expected to witness positive growth as it allows traffic monitoring of applications and assist in cache memory management so as to improve the performance of applications. Moreover, growing demand for public and private APIs along with surging prevalence of web APIs is further expected to bolster the growth of the market through 2024. Global API management market can be segmented based on component, deployment mode, organization size, end user and region. Based on the component, solution is the dominating segment in global API management market and is expected to continue its dominance during forecast period on account of surging demand for integrating systems and components with applications and devices. 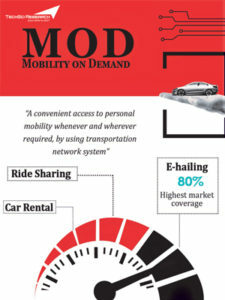 Based on the deployment mode, cloud segment is expected to register fastest growth during the forecast period owing to its low cost and improved mobility. However, security concerns among enterprises pertaining to APIs is driving the growth of the on-premise segment through 2024. 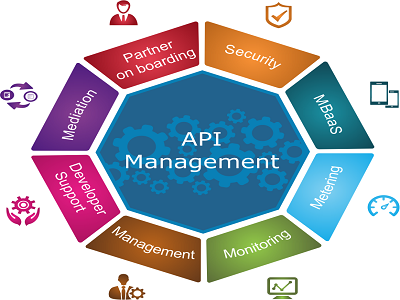 Global API management market caters to various end user industries such as BFSI, IT & Telecom, government, healthcare, retail and others. In 2018, BFSI was the largest segment in the market as more and more enterprises are adopting API solutions to streamline their digital businesses. Software AG, International Business Machine Corporation, SAP SE, Red Hat Inc. and CA Technologies, among others are leading players operating in global API management market. Companies operating in the market are using organic strategies such as product launches, mergers and collaborations to boost their share. In 2018, Software AG launched cloud enterprise platform to scale up their middleware, and data and analytics cloud products. “North America accounted for the largest market share in the global API management market in 2018 and the trend is likely to continue in the coming years as well on account of presence of large pool of service providers offering cloud-based solutions in developed economies such as Canada and US. However, Asia-Pacific region is anticipated to register strong growth through 2024, owing to increasing penetration of e-commerce backed by surging number of mobile users.” said Mr. Karan Chechi, Research Director with TechSci Research, a research based global management consulting firm. “Global API Management Market By Component, By Deployment Mode, By Organization Size, By End User, By Region, Competition, Forecast & Opportunities, 2024” has evaluated the future growth potential of global API Management market and provides statistics & information on market size, structure and future market growth. The report intends to provide cutting-edge market intelligence and help decision makers take sound investment decisions. Besides, the report also identifies and analyzes the emerging trends along with essential drivers, challenges and opportunities in global API Management market.